Home Uncategorized I wanna’ make homemade cream cheese! I wanna’ make homemade cream cheese! (a)Cream means the liquid milk product high in fat separated from milk, which may have been adjusted by adding thereto: Milk, concentrated milk, dry whole milk, skim milk, concentrated skim milk, or nonfat dry milk. Cream contains not less than 18 percent milk fat. * If the dairy ingredient has a fat content of 10 percent or more, or if it contains added sweeteners, the specified temperature shall be increased by 5 deg. F.
(c)Ultra-pasteurized when used to describe a dairy product means that such product shall have been thermally processed at or above 280 deg. F for at least 2 seconds, either before or after packaging, so as to produce a product which has an extended shelf life under refrigerated conditions. HTST stands for High Temperature/Short Time. That second line in the chart above seems like a good compromise. In fact, it’s the most common pasteurization process in the US. Back at the health food store, I start to see the difference. Some bottles are marked “pasteurized” and the rest are marked “UHT”. With careful selection, I think I’ve found my first ingredients. I can buy the organic milk and cream, but I have to make sure that it’s just pasteurized and not “UHT pasteurized”. Just to be sure, double check the “expires by” date, if the milk will stay “fresh” sometime into next season, you’re looking at UHT milk. Put it back and find something with an expiration date that’s in this month. Rennet. What is rennet? Rennet causes the milk to coagulate and form curds. You will see a lot of internet recipes that call for lemon juice or some form of acid to do this. Rennet does it better and faster and with out any added flavor. But there’s a problem here, too! (Of course there’s a problem. There’s always a problem.) I told you what rennet is, but not where rennet comes from. Baby cows stomachs. Calves produce rennet to digests their mother’s milk. We use it to essentially do the same thing, but only as the first step in our cheese making process. As you can imagine, the calf doesn’t survive. If you like, you can buy Liquid Vegetable Rennet , for which no animals have lost their lives. Finally, calcium chloride. Calcium Chloride is used to ensure that you get a firm curd. It basically increases the calcium in the milk that might be deficit in lower quality milk. It’s a judgement call. If you think you have a consistent source of milk, try your recipe both ways. See what works for you. Hopefully, buy the expensive, organic, HTST milk I should be OK with out it. I’m buying some Calcium Chloride , just in case. I want to try two batches, one with and one without. So, my cheese making stuff is on order. I’ve sourced the dairy products. I found some Butter Muslin leftover from my early yogurt straining days. Watch this blog for my first attempt, early next week. Don’t forget to subscribe (upper left hand column) so you don’t miss a single thrilling episode! 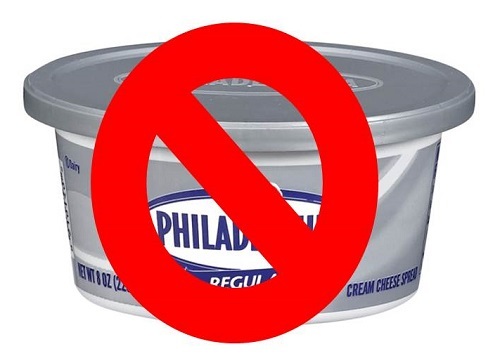 Who is making homemade cream cheese out there? Please leave comments – or warnings, if you know better!!! homemade, how to make, vegetarian. Bookmark.